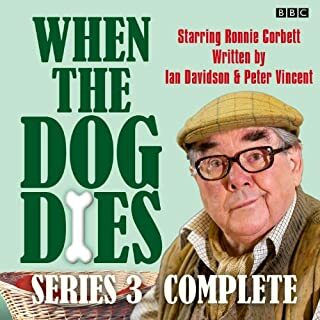 Ronnie Corbett plays granddad Sandy Hopper in this sitcom which reunites him with the writers of his hit comedy Sorry – Ian Davidson and Peter Vincent. Sandy Hopper is growing old happily along with his dog Henry. His grown up children – both married to people Sandy doesn't approve of at all – would like him to move out of the family home so they can get their hands on their money earlier. But Sandy's not having this – he's not moving until the dog dies. And anyway, how can he move if he's got a lodger? In these six episodes, Sandy makes a new will; has to scatter Auntie's ashes and raids neighbour Ken's garden to find out if he has discovered the secret of eternal youth. In addition, Sandy's watch gets stolen much to the annoyance of son-in-law Blake, who has fitted it with a tracking device and he is haunted by the song 'Green Grow the Rushes Oh' when recent events seem to match its verses. Finally, he and his family catch the gambling bug, and Pompom goes missing. 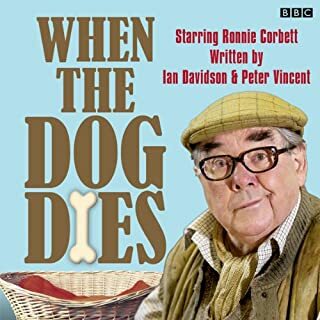 Ronnie Corbett returns for the final series of the sitcom that reunites him with the writers of his hit comedy Sorry - Ian Davidson and Peter Vincent. Granddad Sandy Hopper is happily growing old with his dog, Henry, and his lodger, Dolores. But his children think Dolores is a gold digger and are keen for Sandy to downsize - something he promises he'll do 'when the dog dies'. In the meantime, he's busy providing a guiding hand to his family and helping out when (frequent) emergencies occur. Psychotherapist Martha is reasonably compassionate, but deep down she's losing patience. It seems all her clients want to be something they are not, and it's driving them (and her) out of their minds. Across a series of 15-minute comedy vignettes, How Does that Make You Feel? offers a fly-on-the-wall view of Martha’s sessions, each one shedding more light on the lives of her entertaining clients. Starring Frances Tomelty, Roger Allam, Marcella Riordan, Tim McInnerny, Cathy Belton and Rebecca Saire. Produced and directed by Eoin O’Callaghan. Michael and Maxine Wilson and their teenage daughters, Lola and Cat (plus their bearded dragon, Chomsky, and about 150,000 bees), have resolved to live a cleaner, greener, serener life. They are attempting to live ethically...whatever that means. 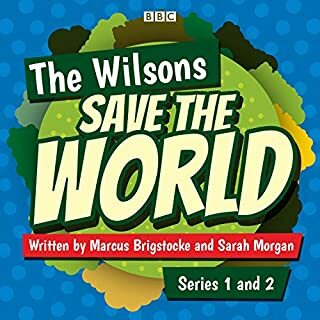 The Wilsons conscientiously tackle tricky situations and dilemmas, from balancing the need of hot sun on holiday to a carbon-neutral campsite, explaining the pitfalls of online relationships to their daughter by drawing parallels to Brexit or protesting library closures when, according to Cat, everything can be found online anyway. Sophie still lives at home with her mum in Hull. They make a living doing car boot sales at the weekend. Except they don't really make a living because her mum can't bear to get rid of any of their junk. Plus, they don't have a car. As their house gets more cluttered, Sophie feels more trapped. She dreams of moving to London to meet her dad and to become a famous actress. Will this dream ever come true? 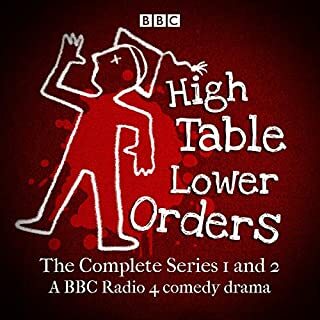 When prominent don and celebrity TV historian Peter Devanti dies after dining at High Table, his colleague Gilbert suspects foul play and invites his former student Simon Harrison, a disillusioned health and safety officer, to investigate. Meanwhile, Simon’s former girlfriend Zoe, a freelance journalist, arrives to write an article about Devanti’s death, reopening old wounds for Simon. Enjoyed it more than I thought I would. 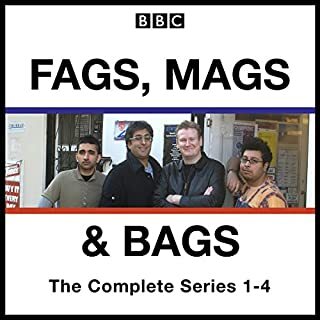 The complete 10th series of the Sony Award-winning comedy series - plus a Christmas special. 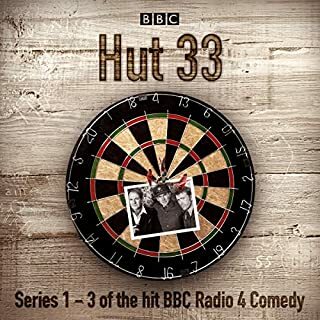 "The best comedy on radio." 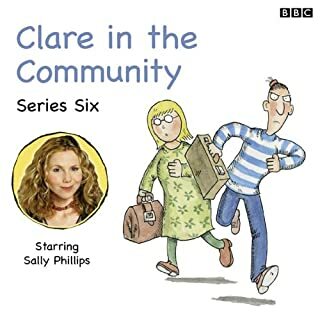 (Moira Petty, The Stage) Clare Barker, the social worker with all the politically correct jargon but none of the practical solutions, continues to struggle with her professional and private lives in these seven hilarious episodes, which include a special Christmas edition of the show. Who cares about Clare ? 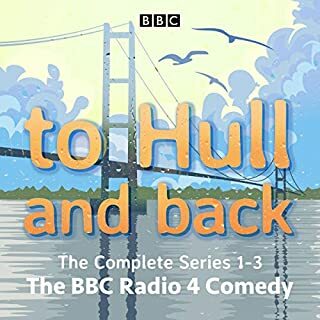 Sally Phillips stars as Clare in this sparkling collection of 13 comic episodes. Clare Barker, the social worker with all the politically correct jargon but none of the practical solutions, returns in these 13 episodes, which includes a special installment recorded live at the Edinburgh Festival Fringe. As if the upheaval of moving offices and embracing hot-desking weren’t enough for Clare and her colleagues at the Sparrowhawk Family Centre, the threat of redundancies hangs over them. 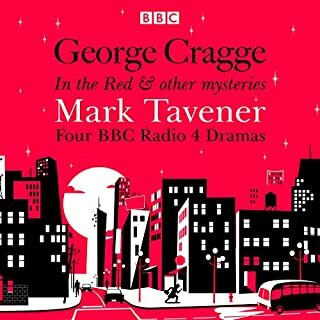 A collection of four blackly humorous crime mysteries featuring the fictional BBC Radio crime correspondent, George Cragge. Adapted from the novel by Mark Tavener, In the Red sees the anarchic George Cragge investigate a spree of bizarre murders in the world of City finance, a small political party contesting a by-election, and a plan to overthrow the Director-General of the BBC. The sequel, In the Balance, features George Cragge kicking off a murder trail during the FIFA World Cup at Wembley Stadium. And with Europe becoming a hot potato, can the Prime Minister hold on to his job? In the Chair follows the maverick hack as he looks into a series of murders of dentists linked to New Labour policy. The final drama, In the End, sees George Cragge investigating a series of murders of journalists. 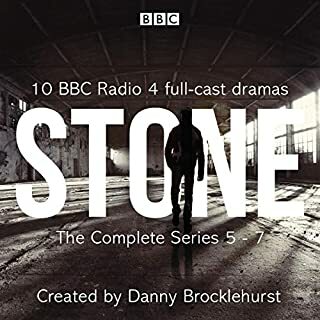 Manchester detective DCI Stone and his team are faced with 10 complex, morally challenging cases in this collection of hard-hitting radio dramas. As series 5 opens, Stone is still reeling from the mishandled shooting of Callum Gartside, a gunman who had murdered his own family. With his personal life in tatters, he must find the strength to hold it together and do his job. Well-known cookery writer (and neurotic perfectionist) Damien Trench lives with his (rather more laid back) partner, Anthony, in Queen's Park, London. Damien longs for simple perfection in all things, but life has a habit of not quite working out the way he wants it to.... 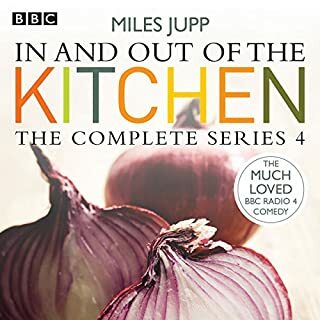 In these six episodes, Damien is offered the chance to present his own TV series about street food and persuaded to appear on a panel show and is forced to go to a music festival. Writer, poet, and broadcaster Pam Ayres has been making her fans smile for more than 30 years, since her first television appearance on Opportunity Knocks. 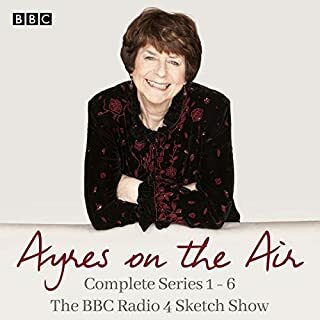 Now some of her best sketches, verses and songs are brought together in this complete collection of series 1-6 of her Radio 4 show, Ayres on the Air. Each series consists of 4 episodes, with Pam performing witty and wonderful pieces on subjects as diverse as getting older, shopping and a surfeit of beige, bored chickens and school plays. 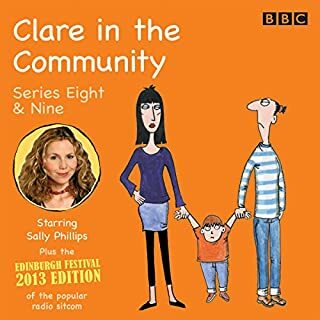 The Sony Award Winning comedy Clare in the Community returns with Sally Phillips as Clare Barker, the social worker who has the right jargon for every problem she comes across, but never a practical solution. Since the last series, society itself has improved little, so there are still plenty of challenges out there for an involved, caring social worker. Or even Clare. Welcome to Clare's world. 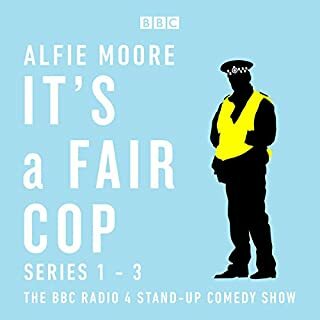 This is the 5th Series in the Radio 4 comedy based on the long-running cartoon strip in the Guardian's Society section. 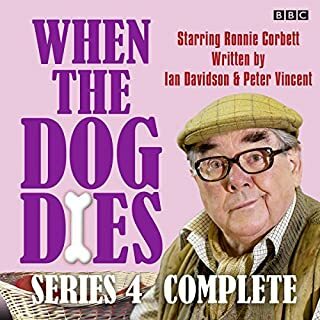 Ronnie Corbett stars as granddad Sandy Hopper in Series 2 of the sitcom that reunites him with the writers of his hit comedy Sorry - Ian Davidson and Peter Vincent. 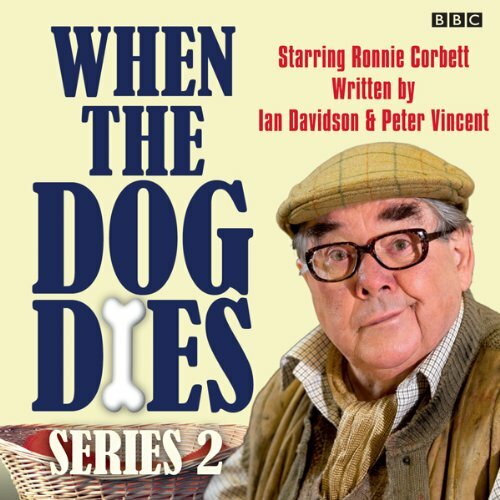 In this second series, Sandy is still growing old happily along with his dog Henry. His grown-up children want him to move out of the family home so they can get their hands on their money earlier, but Sandy’s not going anywhere until the dog dies. And besides, how can he make his attractive lodger Dolores (Liza Tarbuck) homeless? Most amusing and wonderfully written storyline, excellently performed and all wrapped in bow of very effective music.